The Medley Ergo Select offers an attractive, homely design. 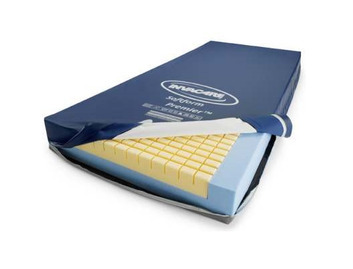 Also available as a retro-fit to the Medley Ergo and Medley Ergo Low, this aesthetic bed end cover fits with precision onto the bed actuators and can be removed at any time. The leg supports are equipped with a Rastofix to enable individual positioning for the legs. Medley Ergo Select can easily be dismantled and stored, using a transport adapter for moving and storage. 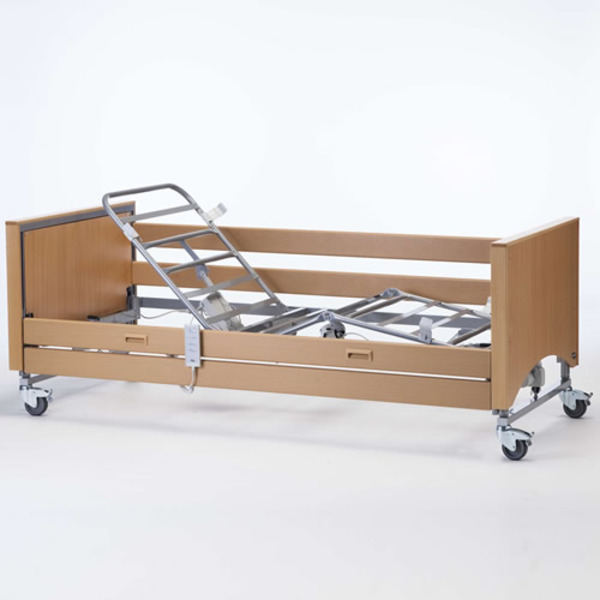 The thoughtful design of the Medley Ergo allows the bed to be mounted at a low height or a higher position, creating a range of working heights for the carer and transfer heights for the patient. This is facilitated by the unique feature of the bed end, which enables the mattress support to be mounted at both upper and lower positions. Adjustable height range of 21 - 61 cm or 28 - 68 cm are available for the Medley Ergo. 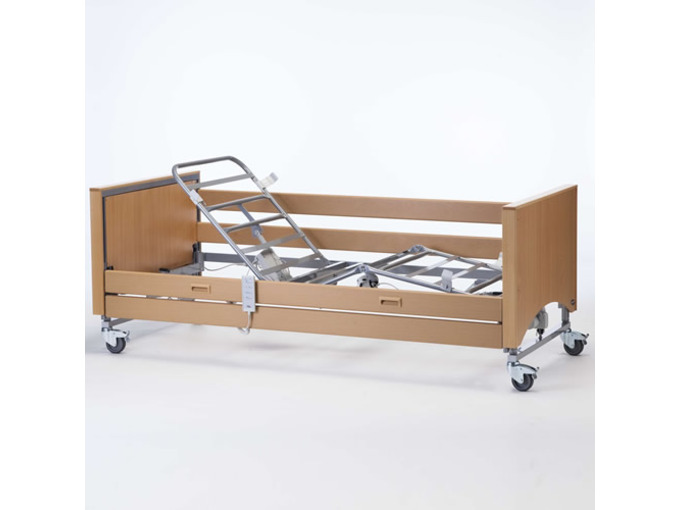 Medley Ergo comes with a full electric mattress support platform to suit individual patient requirements.